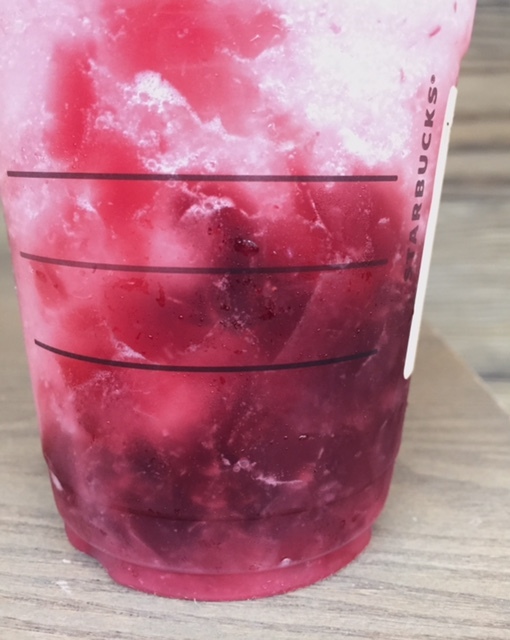 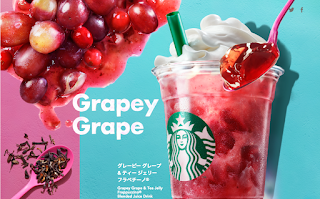 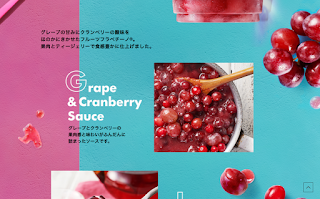 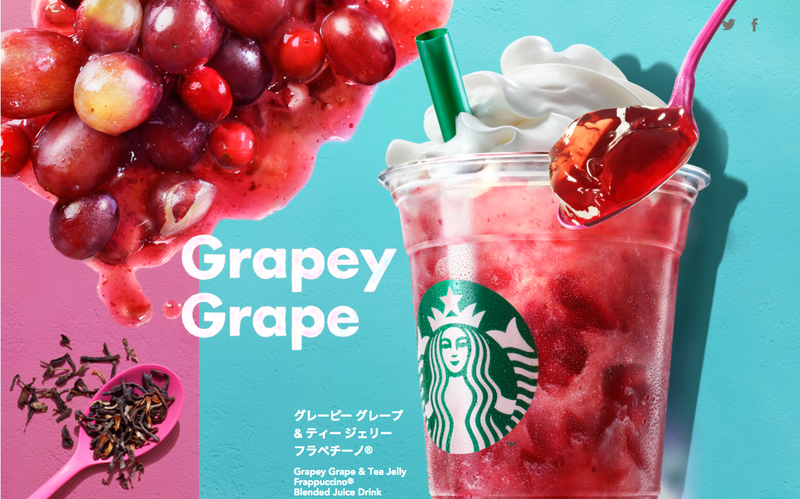 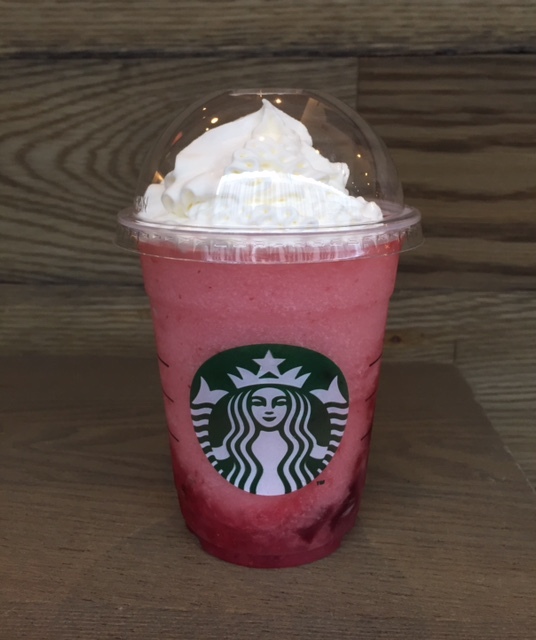 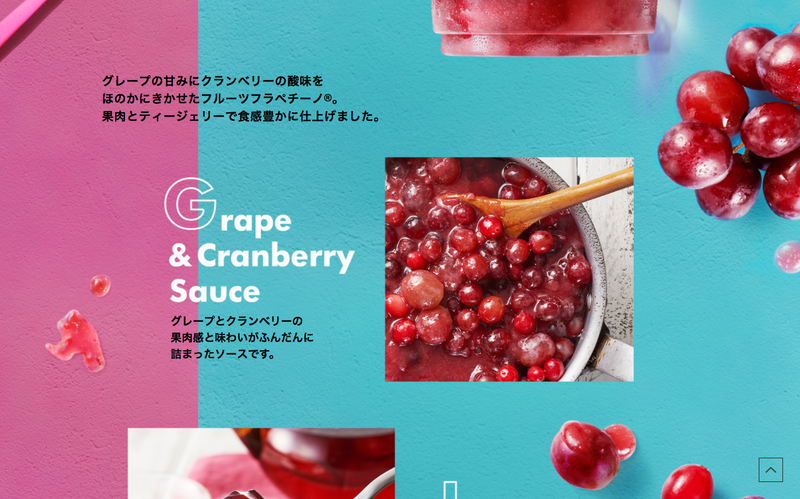 Starbucks Japan launched "Grapey Grape & Tea Jelly Frappuccino" on September 1, 2017 for a limited time. 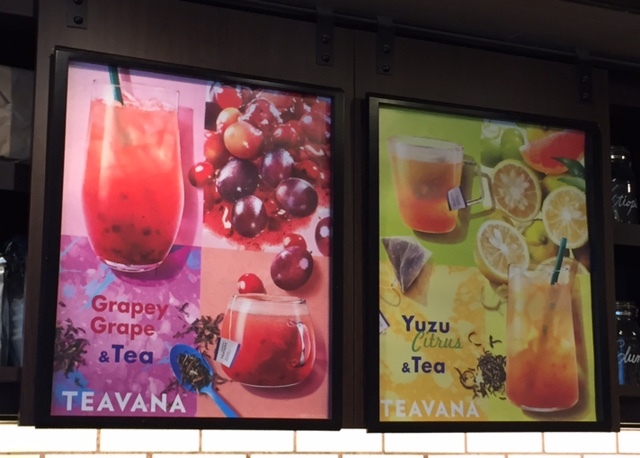 This drink contains tea jellies that have black tea flavor. The juice base is made from grapes and cranberries with skins on, then mixed with fruits like peach and strawberries. 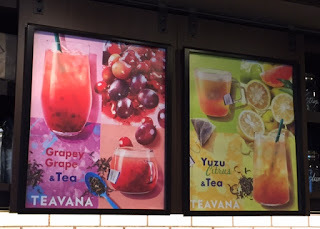 Every sip came with flabby jelly and crunchy grapes. 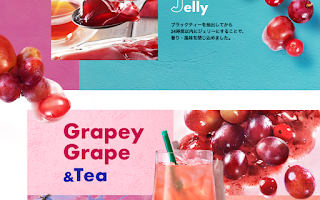 The grape flavor was as bright as Welch grape juice, but thanks to the tea flavored jellies, the aftertaste was light and the aftertaste didn't have too much sweetness. When I mixed the whipped cream on top, the beverage became slightly richer but overall, it's a refreshing fruity drink.